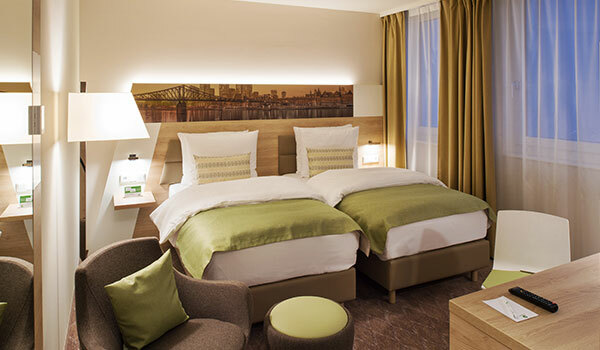 At Holiday Inn, our modern accommodations invite you to settle in for a restful and productive stay in Frankfurt, Germany. 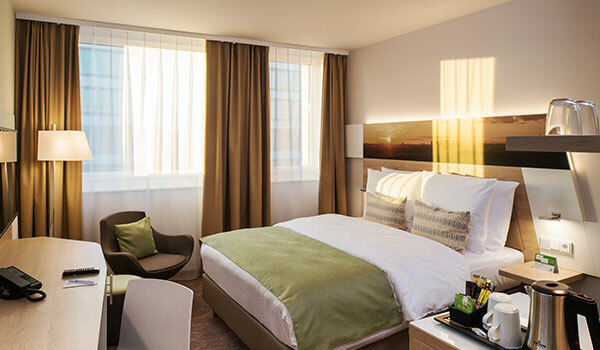 Our bright, pet friendly rooms offer comfortable spaces with natural light, contemporary furnishings and amenities designed to make you feel at home. Use our pillow menu to create a personalized sleep experience with soft linens and plush bedding. Lounge in cozy armchairs and open the windows to let in the breeze. 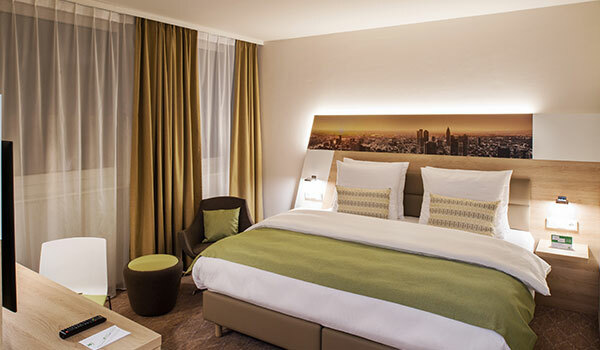 Enjoy a film on the flat-screen TV and stay connected with free Wi-Fi.Increase your productivity at well-lit work spaces and phones with voicemail.Located within walking distance from the airport, our accommodations are ideal for unwinding and working in Frankfurt, Germany. Business travel is better in our spacious executive rooms. Relax with a plush king bed, an espresso machine and mini bar, premium Wi-Fi, upgraded bath amenities, and a late 3pm check out time. Our Queen rooms offer true comfort with a plush queen bed covered in crisp linens. Wake up to refreshing decor and windows that open. Enjoy a flat-screen television and complimentary Wi-Fi. 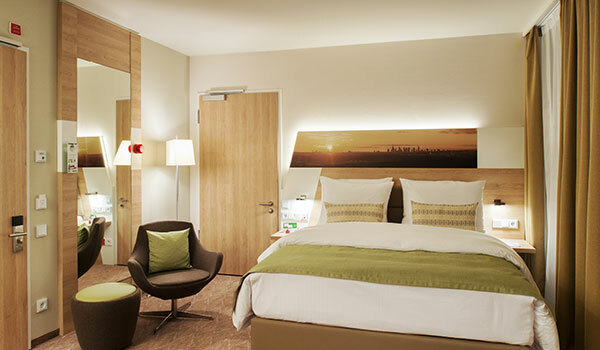 Ideal for the leisure traveler, our inviting rooms offer everything you need. Enjoy a plush twin bed, free Wi-Fi, work desk, flat-screen television, and plenty of space to spread out and unwind. With all of the amenities of standard rooms, plus a roll-in shower, plush queen bed and space to accommodate wheelchairs, our accessible rooms make you feel right at home.